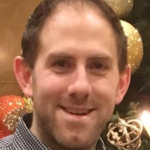 My name is Matt and I am a Physiotherapy BSc (Hons) graduate from King’s College, London. Throughout my degree I have had the pleasure to experience a wide range of placements from critical care to community which has given me a true appreciation of the diversity and skill set required to become a competent physiotherapist. 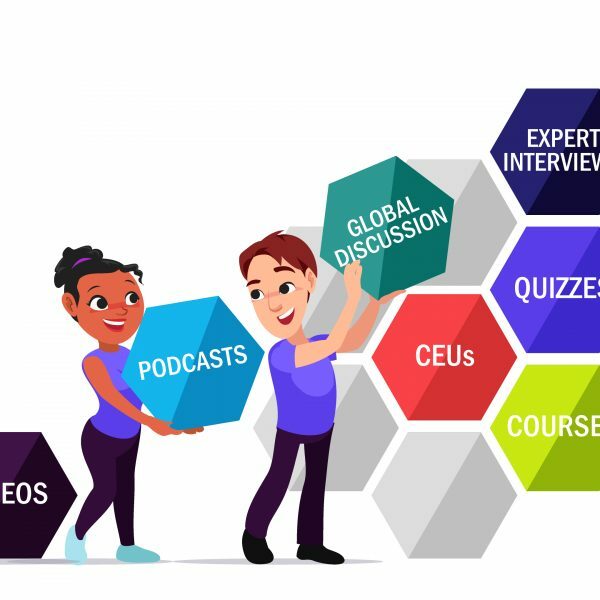 I have recently joined the Physiopedia team following their Volunteer Orientation Course, and with delight I have been assigned to help analyse and critique the latest evidence on PhysioSpot as well as offering a monthly blog to assist those just starting on their Physiotherapy journey from applying to universities to getting your first job. I’m looking forward to working with the team, and hopefully the pieces I provide will be both informative and interesting. So, you have recently graduated, have received your registration documents from your governing bodies and you’re now ready to enter the world of Physiotherapy. Firstly I must apologise as this will be heavily focussed on the UK as I am unsure of the processes outside of this. I can only suggest that you check with your national health care provider to check job availability. This blog will signpost you to a number of websites that I found useful and a number of resources that I found helpful in preparing me for my job interview and will hopefully provide you a brief insight on what to expect when you apply for your first job. Probably the question you want to ask yourself fairly early on, with an idea of how you want your career to progress. In the UK, the natural pathway is to go and work for the NHS, however I know a number of people who have chosen not to do this. Private: More often than not they are MSK focussed, with a mixture of private, insurance and medico-legal cases such as whiplash and work associated injuries. Sessions are typically 30 minutes long with a high caseload. NHS: You will begin work as a rotational band 5, and rotations vary depending on the trust you work for. You will gain experience in MSK, neuro and respiratory and work in a number of settings ranging from critical care through to MSK outpatients and the community. There is a lot of discharge planning and working within an MDT. Later on you can apply for a Band 6 position which allows you to specialise and you can choose to be static or rotational. Interesting fact: Did you know the NHS is the world’s 3rd largest employer? They have a main website so all their job vacancies and this can be found at https://www.jobs.nhs.uk. You can also check the trusts own website for current vacancies. Both NHS and private applications require a slightly different application process. When applying for a private role, they are more interested in seeing your CV. When applying to the NHS they are still keen on your previous employment history and education, one thing that you really must focus on is your personal statement as this gives you an opportunity to highlight what makes you stand out from the rest of the applicants. When a job is posted by a trust, the produce what is known as a personal specification and job description. On here, they list what attributes are desirable or essential. It is absolutely key that you discuss these in your application and personal statement and use examples, either on your rotations or previous employment, to demonstrate competencies within this criteria. Make your personal statement unique, engaging and well written, as this is the first opportunity the employers will get to know about you and will make you stand out against the potential hundreds of other applicants. Congratulations! You have submitted your application and have been asked for an interview, what next? Prepare!! Yes, they will be looking at your knowledge in the key areas but they would also want you to demonstrate your knowledge of the trust / organisation, it shows you have done your homework and are keen to work for them. So research things such as their ethos and core values, were they in the press recently and what for? I am confident that one of the questions you will be asked is ‘why this trust / organisation?’. If you have a thorough and well researched answer for this, the interviewers will be impressed! Ultimately though, they will be looking at your knowledge and experience gained through university, so write down examples you think would be beneficial for you to talk about. Speaking to colleagues who applied for different trusts talked about slightly different questions, some had to do group work and presentations but one thing is for sure, you will be asked about all 3 key areas; MSK, neuro and respiratory and your ability to clinically reason. Read through your notes and any previous case studies. Speak to friends who have applied at other trusts to see what sorts of questions they were asked. You are bound to feel nervous on the day, this is absolutely normal! It is easy for me to say try to remain relaxed, but it’s never that easy. Difficulty is when you start to worry then you forget the most basic of information which will make you panic even more. A fantastic piece of advice I got at university regarding job application is that if you are invited for an interview then the organisation pretty much wants you and it’s up to you to show them that are employable, so dress for the occasion. You never get a second chance for a first impression, so appear as though you really want the position. I can only speak from my experience, but the first initial questions where about me, and why I wanted to work for their trust. It gives you a chance to talk about your research, but they are also generally interested in you. They then went on to ask more clinical based questions. For me, they were very open questions, based on all 3 areas of physiotherapy, which gave me the chance to talk about everything I knew on the topic, so really go for it! Assessment techniques, outcome measures, latest research and NICE guidelines, working with MDT, anatomy and physiology, red flags – it’s a real chance to demonstrate your knowledge. The interview will generally follow the same principles as the NHS, however they will be more specifically targeted towards their speciality (e.g. MSK), so obviously prepare for this accordingly. During a private interview they will ask a number of data protection, clinical governance and safety questions as well as a number of case study type questions to identify your knowledge, clinical reasoning, escalation procedures and your ability to recognise when to liaise with other healthcare professionals such as a GP, bearing in mind that in private practice you will not have access to the MDT like you would in the NHS. You get the job: Congratulations. Soon after accepting the position you will be told a little more about your first rotation. It is worth going through your notes again in preparation. Also, when you get the name of your senior liaise with them to find out a little more about the role, and whether they have any recommendations before you start. You go into a ‘talent pool’: Basically, you have been successful in your application, but the position you have applied for has gone to someone else. When another position becomes available, you will be contacted. You were not successful: Ask the interviewer for some feedback about where you could have improved and use this information to assist with the preparation of future interviews. This is the penultimate blog in the ‘So you want to be a Physiotherapist…?’ series. I hope you have found all the information helpful, and that it provides a good insight from the very beginning of your journey through to getting your first job. It’s an exciting career and I absolutely love what I do. Whatever career path you take, whether it be private or through you’re a smaller or bigger NHS trust, enjoy the fact that you are part of a fantastic workforce that are making real differences in people’s lives. I get to see this every day and I feel that it is a real exciting time to be part of the physiotherapy community and the diverse areas where we can help. In my next blog I will talk about my experiences since graduating and becoming a physiotherapist, what I have learnt so far and what I hope for the future.